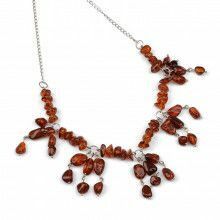 This large and very stunning Baltic amber necklace is created by Russian artisan. 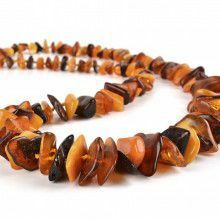 Rich color butterscotch Baltic amber cabochon is set in silver frame, which has a double wave design on one side, giving the stone that special accent. 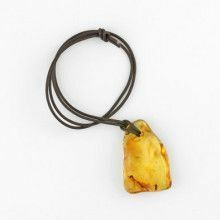 The amber is nearly 2" in diameter and nearly 3/4" thick.